First Look at the Next Series of Rivers of London Comics! Rivers of London is back! After a miniseries earlier this year, Ben Aaronovitch’s magical detective series is returning to comics, and this time Peter and the Special Branch are tackling a case that leads directly into the next book in the series. Check out the first details and the covers, exclusively here on io9! 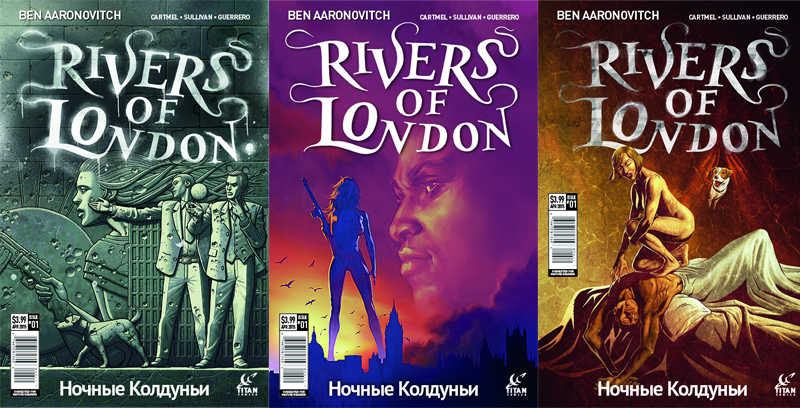 Ben Aaronovitch&apos;s Rivers of London Series Is Coming To Comics! Rivers of London: Night Witch will be a prequel to The Hanging Tree, the sixth entry in Aaronovitch’s book series—originally called Midnight Riot in the U.S. before being reverted to the original U.K. title for later books—about the adventures of full-time London Metropolitan Police Constable/part-time wizard Peter Grant and his work at the Met’s “Special Branch” dealing with magical mysteries in London. This time, Grant is on the case of a witch whose vast powers are being sought out by Russian gangsters for use in nefarious criminal activities. Rivers of London: Night Witch #1 will be out March 16th, 2016. Meanwhile, The Hanging Tree is due for release in the U.K. and the U.S. in June next year. And for more details on the Midnight Riot/Rivers of London book series, check out our review of the first novel here!